The team at Garfish are very proud to announce that Manly Garfish was awarded the honour of being named the Best Informal Seafood Restaurant of the Year for Sydney and surrounds, in Savour Australia’s Restaurant and Catering Awards for Excellence. There was also some healthy competition between Garfish Manly, Crows Nest and Kirribilli restaurants, because this year all three of our restaurants were finalists in the Seafood Restaurant – Informal category. There’s no hard feelings though and the team at Garfish would also like to recognise the other talented finalists in our category: Limani Seafood Restaurant, Narrabeen, Love.Fish, Rozelle, Sealevel Restaurant, Cronulla, and The Sydney Cove Oyster Bar, Sydney. It’s great to see there’s a passion for seafood in all parts of Sydney and long may it continue! The words ‘award-winning’ are not something we take lightly at Garfish. Being named finalists and achieving restaurant of the year status lets our customers know what sort of quality to expect and it also recognises all the hard work and effort of our staff. 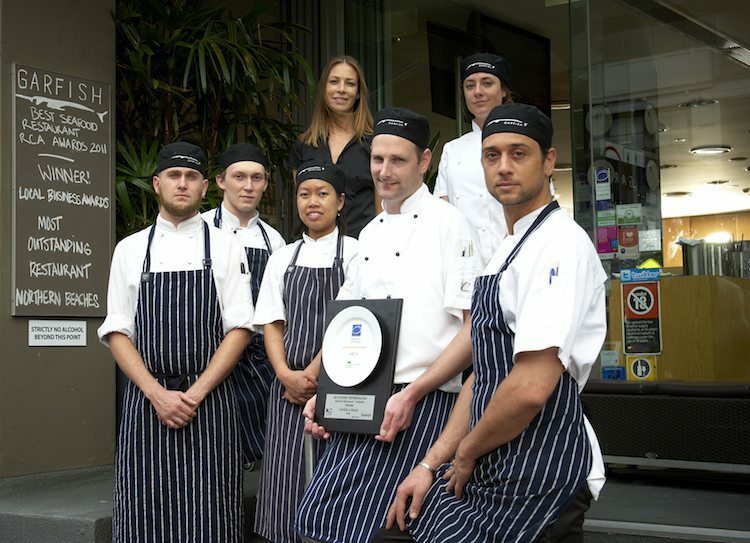 Our status as one of Australia’s Best Seafood Restaurant relies on this sort of recognition and awards like Savour Australia’s are probably our best known. For those not familiar with the awards, Savour Australia™ Restaurant & Catering HOSTPLUS Awards for Excellence is considered the most dependable and authoritative guide to Australia’s best restaurants and caterers. 2013 marks the 16th year of the Savour Awards nationally. With more than 500 trained judges and 1500 entrants, the Awards for Excellence set the national benchmark. They are the most important and respected industry awards, specifically designed to objectively recognise and promote industry best practice. Venues are judged by a team of trained judges who anonymously dine at each venue or catered and evaluate the experience based on specific criteria in accordance to the Restaurant & Catering Evaluation System (RACES). The National Awards are being held at Royal Randwick in Sydney on 28 October this year.